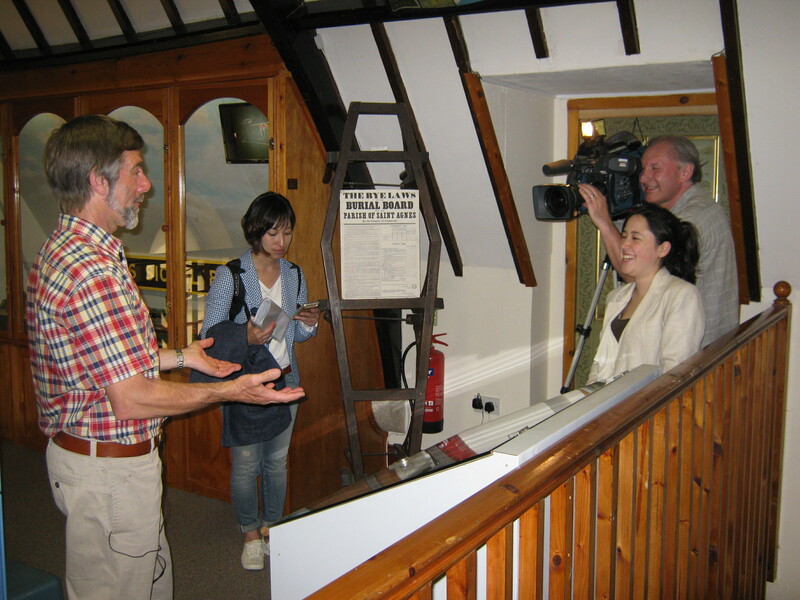 On Thursday 18 June our Chairman, Roger Radcliffe, welcomed two Japanese reporters, Ayaka and Etsuyo, (one fortunately speaking perfect English!) and an Australian cameraman, Brett, from the Japanese company, Fuji TV, who were making a news feature about how smaller attractions like our museum promote themselves within the context of a World Heritage Site. Twenty-three industrial sites from the Meiji Industrial Revolution in Japan are expected to be added to the UNESCO World Heritage Site list. The news feature will focus on one industrial site in the Shizuoka region which, despite its historical significance, receives fewer visitors than other sites. The cameraman, Brett, filmed inside and outside the Museum and Ayaka interviewed Roger – in English – about how the Museum is run, the importance of our volunteers, the benefits of being part of a World Heritage Site, and what improvements we would like to make in the future. Our Stewards, Jean Bunt and Diana Good Dixon, were also filmed, as were Liz and Tom Thompson pretending to be visitors. Roger then led the Japanese team to Wheal Coates to finish filming, on a beautiful sunny day. The crew has kindly agreed to send us a copy of whatever they film – in Japanese! Our latest visitors, on 23 June, were a group of French journalists who had travelled to Cornwall after a trip to the Isle of Man, and who were especially interested in our mining heritage. The visit was organised by “Cornwall 365”, a two year programme designed to build a network of cultural and tourism businesses across the County. 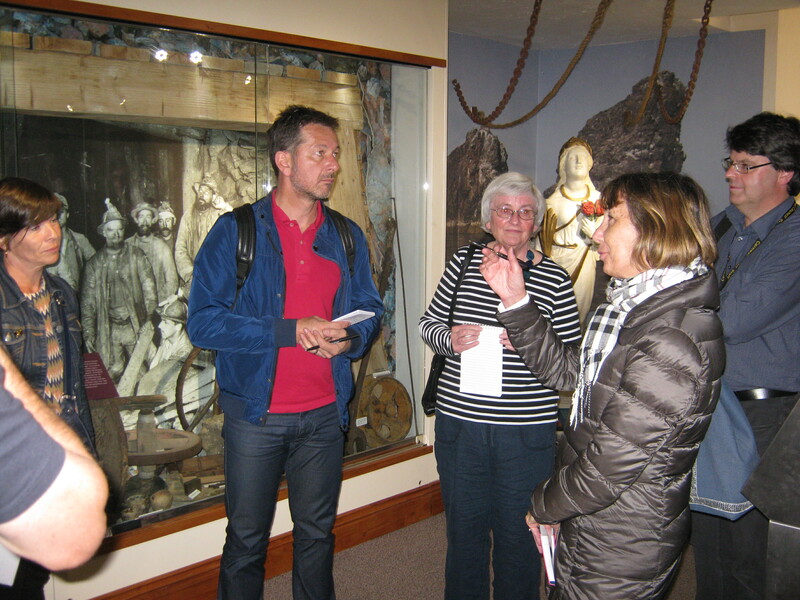 The group was given a tour of the Museum by Roger Radcliffe and Liz Thompson, and were really impressed by the Museum’s care of its heritage and the number of volunteers we have. After many questions and photos, the group went to see the harbour remains at Trevaunance Cove, and some took advantage of the beautiful weather to have a swim. Two very enjoyable and interesting visits, and hopefully the Museum has showcased St Agnes at its best.